The family of Camel is quite a treat to look at if you place them in your living space. 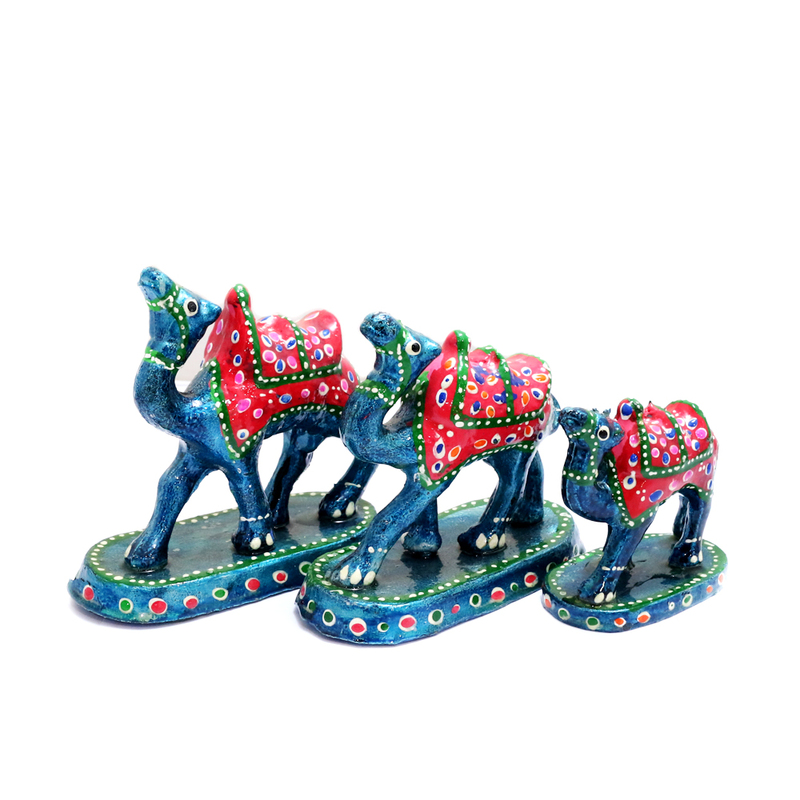 They come in sky blue colour Read More..with their heads held high giving a royal effect. 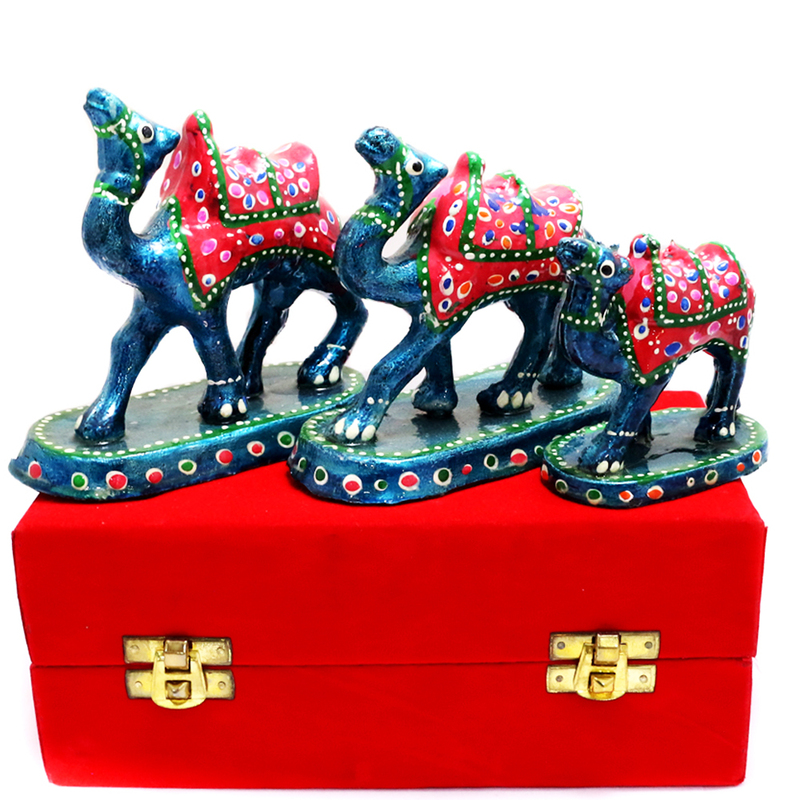 They are made of plastic and carved with some pretty meena art work. Show Less..